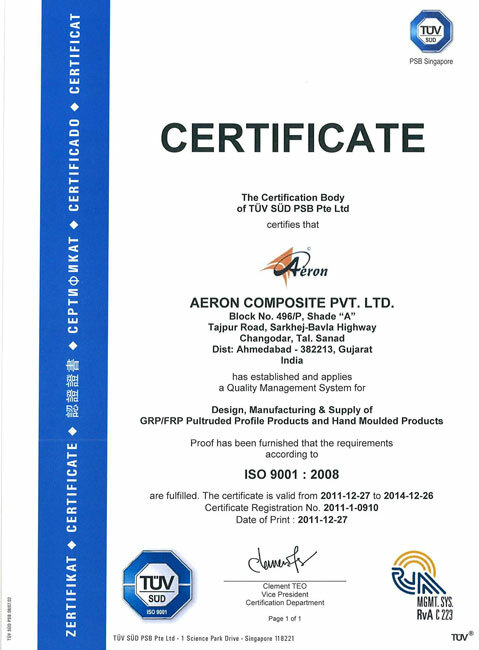 Aeron Composite Private Limited was established with aim of manufacturing pioneer product made out of FRP/GRP(Fibre Reinforced Composites) for industrial and recreational use. AERON offers High-quality advanced composite solutions and reliable services, complying with customer specifications as well as various National and International standards. We provide complete solution which includes conceptual design, prototype development, testing, manufacturing, logistic support, installation and comprehensive after sales service. These features and benefits make Aeron’s products best for use in various markets and applications such as water and waste water, metals and mining, oil and gas, pulp and paper, transportation, telecommunications, pharmaceutical, chemical etc. 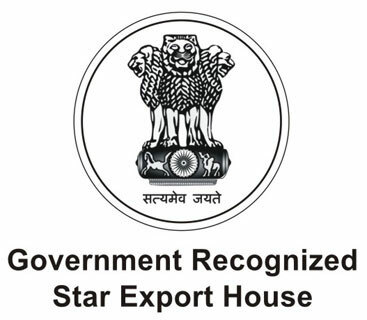 AERON, head quartered at Ahmedabad, have excellent state-of-the-art manufacturing facility spread over approximately 10,000 sqmt at Changodar which includes raw material inspection, manufacturing , fabrication, Testing Lab, Packaging etc. AERON will be elevated in regards to its magnitude when transferred to its own Composite City with approximate 65,000 sqmt Area. Aeron Composite Pvt. Ltd. has core value to deliver best quality products and wide marketing network ensures prominent presence in domestic and international markets.